Late last week we posted about the exciting Small Fry Buzz Lightyear toy that is scheduled to be released at the 2013 D23 Expo for $25.00. 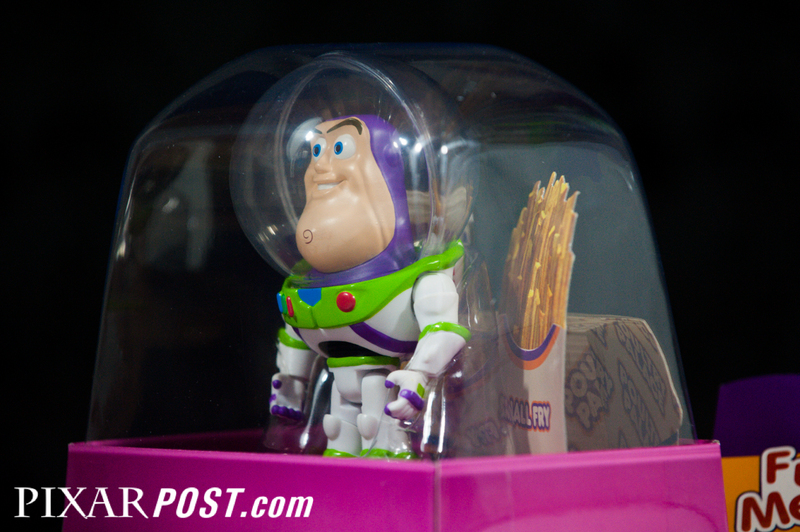 Today we're excited to bring you our unboxing and toy review video as well as close-up photos of the fast-food inspired character. 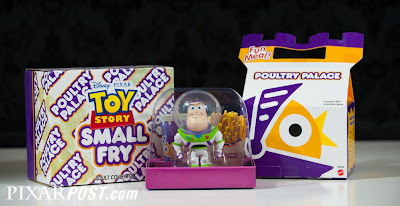 The Small Fry collector toy has outdone itself in terms of detailing - from the outer box (with included chicken grease stains), to the inner happy-meal style box, the presentation is amazing. The outer box measures 8.125" in width, 6.625" in height and 4.5" in depth and the Buzz character is just over 4.5" tall. Speaking of Buzz, the character is amazingly painted (as you can see in the video and photos) and is extremely accurate in its color representation and edge precision. The toy appears to be an un-numbered piece and doesn't contain a certificate of authenticity - but don't let that take away from the unique nature of the toy. For fans of the short film, this is a must-have for it's great packaging and amazing likeness to the fast food Buzz Lightyear in the short. 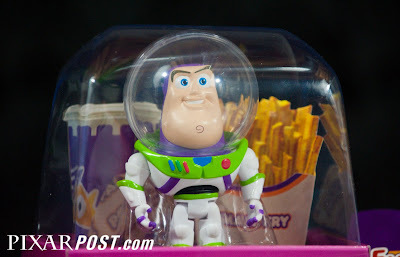 So what do you do if you want one of these great Buzz toys? The short's director, Angus MacLane is scheduled to autograph the toy at the D23 Expo on Friday, August 9th from 4:30-5:00 PM at the Disney Consumer Products Pavilion. If you're going to be at D23, be sure to get in line early since 30 minutes is not a long time for an autograph signing. 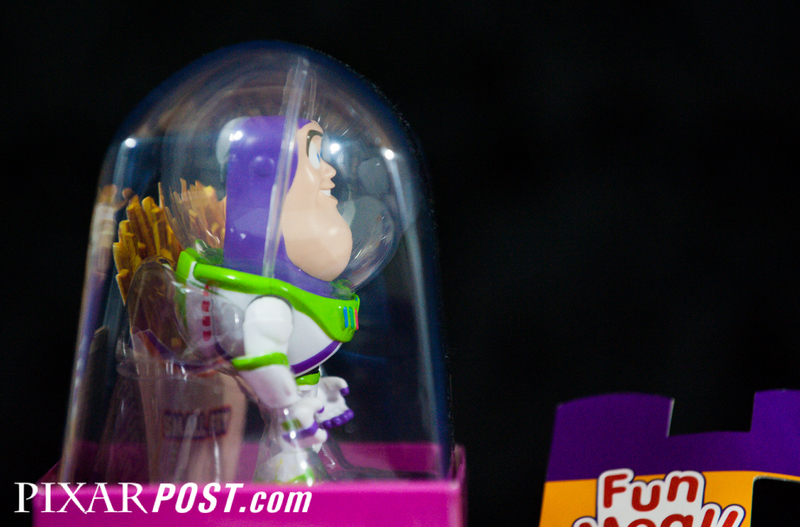 If you can't make it to the D23 Expo and you want to pick up a Small Fry Buzz Lightyear, be sure to check out our eBay link to take you right to the available Buzz toys.